This post contains massive spoilers from The Walking Dead's Season 7 premiere. It's been more than six months since Negan first swung for the fences. 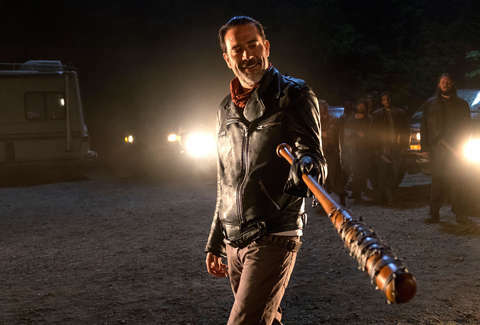 Jeffrey Dean Morgan's villain, and his beloved barbed-wired bat, ended The Walking Dead's last run with a cruel game of "Eeny, meeny, miny, moe" and an even crueler cliffhanger. 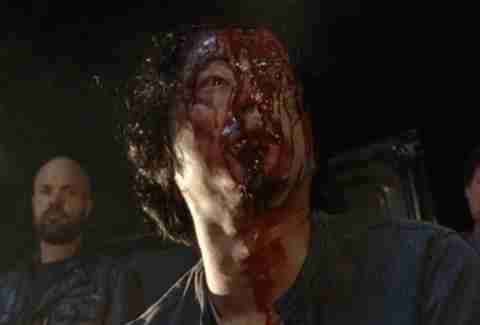 Who was on the receiving end of Lucille, taking her "like a champ"? The time since the Season 6 finale has seen no shortage of theories, all trying to figure out if Glenn, Maggie, Daryl, Rick, Abraham, Carl, Michonne, Rosita, Sasha, Aaron, or Eugene would be saying goodbye. Sunday night's premiere finally delivered a bloody answer. 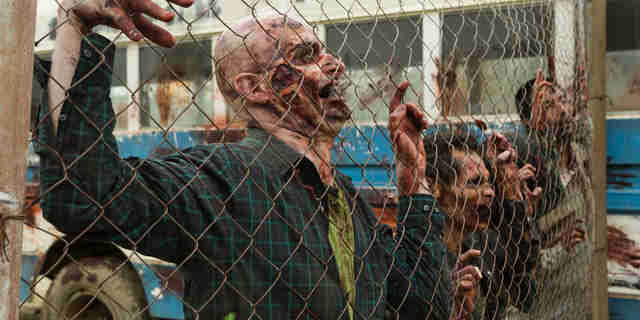 The skull-crushing reveals came later than expected in the episode, after Negan and Rick first shared forced bonding time. I want you to think about what could've happened, what did happen, and what could still happen, Negan told Rick, before the former sent the latter to retrieve a hatchet amid a horde of walkers. "Man it's so much more brutal and suspenseful seeing it all edited together," tweeted actor Chandler Riggs, whose character almost lost an arm, "(especially with the music)." Riggs wasn't kidding. The Walking Dead is going there this season, making even the most horrific horror movies of all time look a little... tame. Sunday night's premiere was a gruesome return that messed with fans' expectations, showcasing shots of nearly everyone getting a taste of Lucille as Rick contemplated Negan's words. The deaths that did happen not only mean curtains for two of Rick's most trusted allies -- both fan favorites -- but also a drastic shift in the group's dynamic. 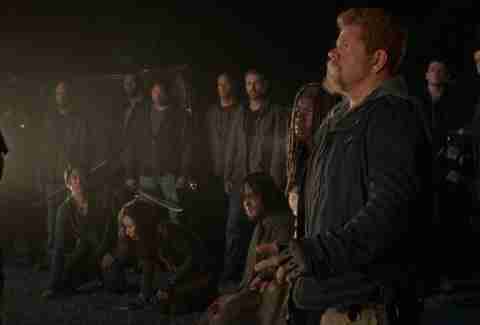 Maggie and the others now hunger for war. Rick is demoralized, destroyed. "First impressions are important," Negan told the survivors, his new servants. The deranged killer and his thirsty vampire bat sure made one. "You answer to me," he added. "You provide for me, you belong to me." Read our full recap here. And for more on The Walking Dead Season 7, check out our comic-informed predictions and the official trailer, stuffed with footage from upcoming episodes. Sean Fitz-Gerald is a staff writer at Thrillist Entertainment and found that all to be very stressful. Find him on Twitter: @srkfitzgerald.